Westlife is back to Manila! 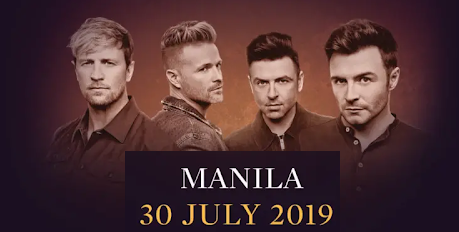 Westlife will celebrate their 20th anniversary in Manila on July 30, 2019 at the Smart Araneta Coliseum. The boy band composed of Nicky Byrne, Kian Egan, Mark Feehily, and Shane Filan will be performing their number-one hits like "If I Let You Go," "Uptown Girl," and "Swear It Again. The beloved icons of the 90s was disbanded in late 2011, but later reunite in October 2018 and released the "Hello My Love" single in eight years. Being UK's top-selling album, the group have sold over 55 million records worldwide and the first 7 singles that enters UK chart at No.1 spot. Westlife "Twenty Tour" in Manila ticket will go on sale March 30 via Ticketnet.